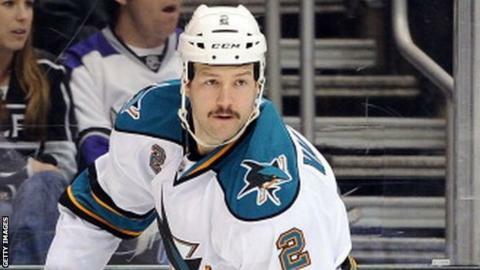 The Belfast Giants have signed experienced Canadian defenceman Jim Vandermeer. The 35-year-old has nine seasons of NHL experience, having played for teams like the Philadelphia Flyers, Chicago Blackhawks and Calgary Flames. Vandermeer will make his home debut in the Olympic Series, when the Giants face SG Cortina of Italy on 12 and 13 February at the SSE Arena. He spent the two seasons in the Swiss A League with the Kloten Flyers. Giants player-coach Derrick Walser knows Vandermeer well as the pair played in Canada's Spengler Cup team in 2013/14 and 2014/15. Steve Thornton, Giants Hockey Operations Manager, said: "Our fans are going to love his style of play. "Jim will add size to our blue line and bring a lot of NHL experience to our locker room."